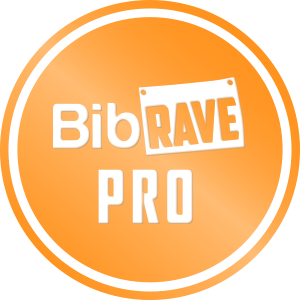 I recently reviewed the Rudy Project Sterling helmet (click here for my review), which was facilitated through being a BibRave Pro. The Sterling is an extremely safe helmet that is so comfortable you don’t even know it’s there. 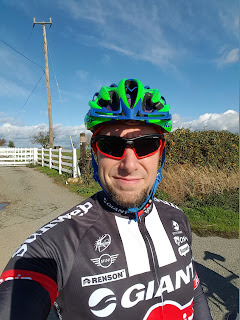 I was completely impressed with my first Rudy Project product that I reviewed. I just received the Fotonyk Sunglasses and a trucker hat to test. Just like the Sterling helmet, the Fotonyk is loaded with premium features. Let’s look at what makes up these sunglasses. 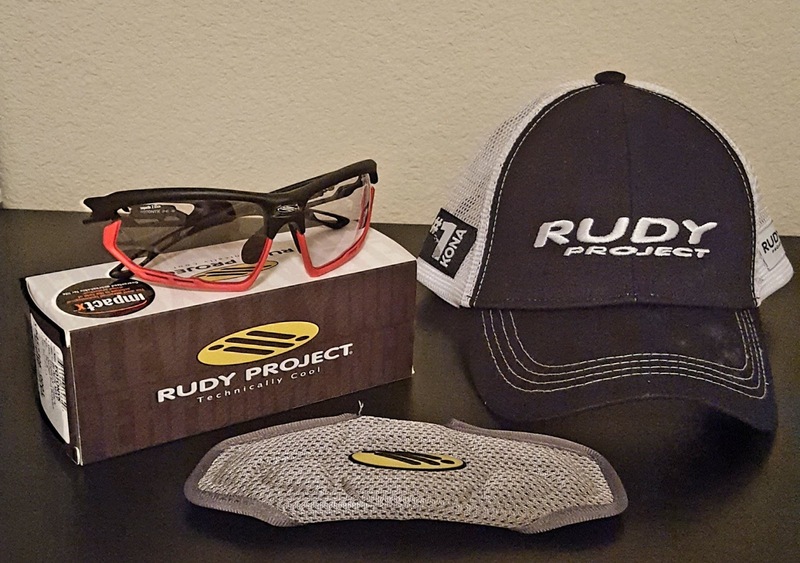 Rudy Project wants to make products that will not only be functional, but will keep you safe. Their helmets and sunglasses are made to protect you when you take a spill. What good are sunglasses that look good, but the temple piece will break off in a crash and cause serious injury? Rudy Project integrates its hinges and uses soft, thermoplastic elastomers to protect you, even in the worst crashes. It is never good when you are running or cycling and your glasses fog up. Fogging up could result in hitting a pothole or tripping over a crack in the road. Rudy Project uses their trademarked Vent Controller that allows air flow through strategic points in the lens. This reduces thermal shock, which in-turn reduces fogging. I had absolutely no issues with fogging. The Fotonyk shades have bumpers that are made from colorful rubber inserts that not only protect you from the edge of the lens, but looks great too. There are four different colored bumpers (black, white, orange flou, and lime) that you can choose from and they are easy to switch. You can also swap out the interchangeable lenses, which is also really easy to do. You can get a smoke black, multilaser blue, or multilaser orange lens to swap out. These are in addition to the lenses that come with your purchase. I got the Fotonyk Black Matte ImpactX with Photocromatic 2 Black lenses. They are clear in low light situations, but adjust to black in direct sunlight. The cool thing is that even when the lenses are at their darkest, visibility is crystal clear. I love these for my early morning runs that start in the dark as well as mid-day, sunny runs and rides. The light transmittal ranges from 9% to 74%, which is the biggest range I have seen in a photocromatic lens. Everybody has differently shaped faces. Rudy Project does a great job of making shades that will fit different face shapes by utilizing adjustable nose pieces. You can adjust the glasses’ height as well as their distance from your face which will help provide a completely personalized fit. I love the way these feel, like they were designed for me. 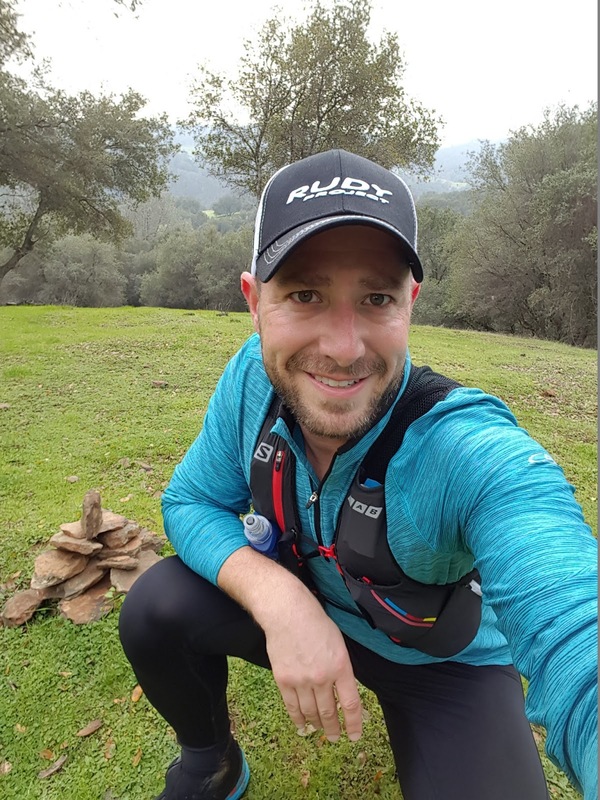 The frame uses Rudy’s Grilamid material, which is a shock-resistant, hypoallergenic thermoplastic, which has several great characteristics. They are light, stable, flexible and extremely durable. That makes for a very safe and comfortable set of shades. This is one of my favorite features. Usually you get a bag or hard case for your sunglasses, but Rudy Project has something I like better. Their “Sport Protector” is a cover that goes over the lenses and has a Velcro enclosure. It is very simple, but extremely effective in protecting your sunglasses. I love it! 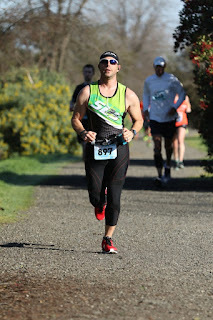 I have tested these on my bike rides, early morning runs, and even in the middle of the day. I never had issues with the sun being too bright in the middle of the day. I could wear them in the dark without having visibility issues and never had any fogging issues. The Fotonyk is great because it is customizable and is super light. I have a hard time finding sunglasses that look good on me, but I love the way these look and feel. I would highly recommend them. Right now, you can subscribe to get special promotions from Rudy Project and get 25% off your first purchase. Click here to sign up and get the discount. That will drop the price from $199.99 (regular price) to around $150. When you buy at the Rudy Project website you get free 2-way shipping, a low price guarantee, and a 90-day return policy. You have a full 90 days to return your unused sunglasses for a full refund. Looks awesome with the bright customizable bumpers and lenses. In the world of running and cycling, there are tons of products to choose from. There are several companies who claim to have the best products. I have been extremely impressed with Rudy Project and can’t wait to see what else they have to offer. From the fit to the style, you really can’t go wrong with their helmets or sunglasses. Give them a try and let me know what you think.